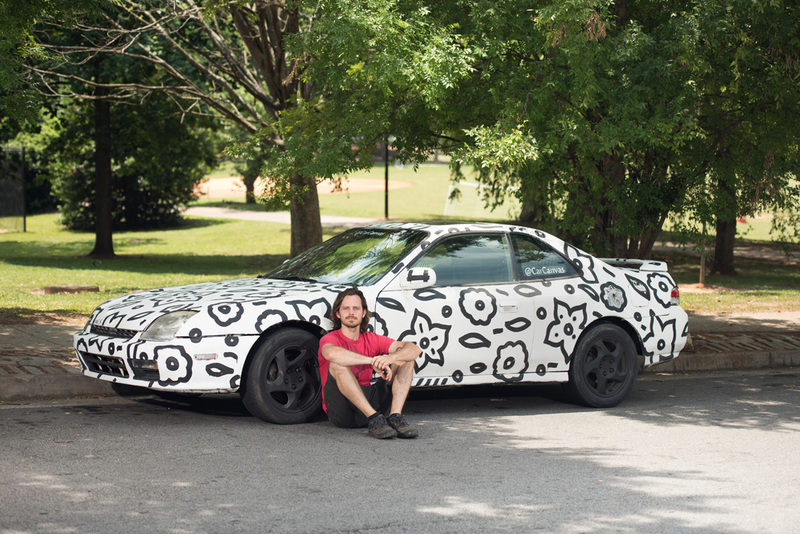 Candler Park artist William Massey is creating buzz with an unusual canvas: cars. 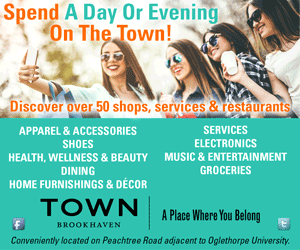 You’re driving along Ponce when a giant eagle feather flies past in the left lane. Or maybe some sunflowers and a Nepali peace flag sail by. If so, you’ve probably just seen a painted car from the collection curated by Candler Park artist William Massey. Since 2014, Massey has been introducing local artists to car owners wanting to add some personalized art to their cars. How did the Atlanta sculptor become the match.com for painted cars? Massey liked the concept so much that when he got home, he painted his own car gray, getting it ready for when inspiration struck. It didn’t take long. Two weeks later, Massey was having an art exhibit. He parked his car, put out an array of paints and told everyone there to have at it. “It was crazy, but fun,” he says. So far, Car Canvas has produced about a dozen uniquely painted autos and one 45-foot bus. Eight more cars are on the docket. Like the moving murals, the business model is not typical. No money changes hands. Massey explains it this way: “I love connecting people and getting art out into the world in a fresh way. Car owners get to share something they love. And artists get more exposure than they would from a giant billboard. Along with Car Canvas, Massey is an established artist, known for his large-scale, found-art sculptures. His third and current installation on the Atlanta BeltLine, “The Art of Reconciliation,” involved more than 200 people, “hipsters, homeless, veterans, kids,” in its creation. The sculpture embodies Massey’s commitment to bringing people together through art. To see more, visit williammasseyart.com or follow @carcanvas on Instagram. Car art is great — it’s even a few steps beyond wraps, which are taking the snowmobile world by storm as everyone personalizes their sleds. Thanks for sharing the interview.